This week's feature record comes from Melbourne electronic duo Squaring Circles with their debut album Motion. After drip-feeding singles for the past 12 months, gaining fans and racking up radio plays across Australia and overseas, the release of Motion gives Squaring Circles the opportunity to present an unabridged version of their musical vision; a world where organic and electronic sounds combine to create semi-instrumental collages; where voices weave in and out, from textural to melodic, from melodic to textural. Growing tired of conventional songwriting, Squaring Circles began as an experimental recording project for musician and producer Brendan Anderson. Wanting to explore more abstract methods, the project evolved through invoking unconscious personas and then capturing these expressions, and repeating on multiple instruments until songs began to form. Vocalists Lilibeth Hall and Hayden Somerville (who previously played alongside Brendan in the band Lurch and Chief) worked with Brendan within these spaces and frameworks to create rituals, which led to the discovery of the voice of the project. The result is a dynamic bright set of songs that capture the essence of experimental sensations and invoke a feeling of spaciousness. Watch the clip for track 'Anergyne' below. 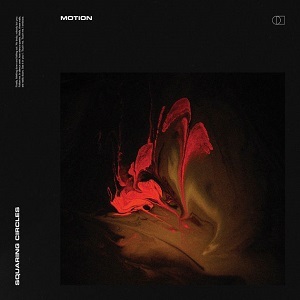 Motion is out March 29th on Best & Fairest.